To scientific researchers, the acronym PEMF stands for pulsed electromagnetic fields. But to your body, PEMF is a cellular tuneup. To date, much has been researched and written about how to reverse the natural effects of aging and repair bodily dysfunction at the cellular level. Yet there is still too little known about proven methods for achieving this goal. However, there’s one exception: PEMF. More than 2,000 medical studies now support the efficacy of PEMF to help rebalance and restore the body to proper wellness levels. More significantly, these findings have held true, regardless of the type of PEMF device used in the research study. These results point to an underlying efficacy of the PEMF technology itself, irrespective of the specific method of delivery. Both physicians and the general public now have access to PEMF therapy devices (for professional and personal use). 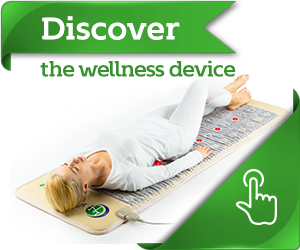 The best way to understand PEMF technology is to look at your own body and learn how it functions. At its core, your body is like one huge Morse code switchboard. Your central and peripheral nervous systems are sending encoded messages back and forth 24/7. Neurons, a special type of nerve cell, send and receive pulse-based communications. Some of these messages tell the lungs to breathe or the heart to beat. Other messages tell the body’s fight-or-flight mechanism to activate, while still others instruct it to stand down. From blinking your eyes to licking your lips, digesting dinner to entering REM sleep, every action your body takes was first preceded by an electromagnetic message and carried by an electromagnetic messenger. All 70 trillion cells are nothing but electromagnetic energy. So what does this have to do with PEMF therapy? Over time, cellular degeneration and degradation occurs for a variety of reasons. These reasons can include trauma, illness, or the natural aging process. Some types of trauma result from medication, while others arise due to personal lifestyle choices. Still others come about because of inherited conditions. Regardless of the reason behind it, once cells begin to degrade, it’s just a matter of time before those cells die. To sustain themselves and prolong their life cells need exposure to an electromagnetic frequency (EMF). Neurons, the specialized communications nerve cells, use pulsed electromagnetic frequency to communicate with one another and keep your body functioning optimally. Perhaps a cell begins pulsing erratically or not at all. Or message receptors within that cell sustain damage or trauma. Therefore, they cannot receive messages in full or in their original form, so the only thing that can help get that cell back on track is pulse-based therapy. To summarize, with PEMF technology, human beings have decoded the secret language of the body’s cells. 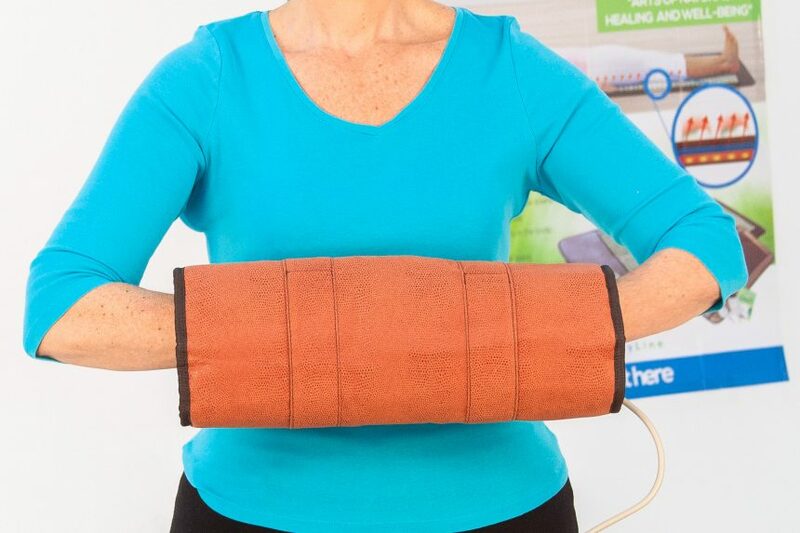 Today, you can use PEMF therapy to speak with your own damaged cells, find out which treatment is needed, and use restorative pulsed electromagnetic therapy to stimulate those cells. Even more importantly, today’s PEMF technology can customize the communications (or frequencies of the pulsed electromagnetic messages being sent), based on the needs of different cells. For example, one group of cells may need low-frequency, low-strength, simple-waveform communications. However, another group of cells may need high-frequency, mid-strength, complex-waveform communications. There are an estimated 200 different types of specialized cells present in every human body. So the ability of today’s PEMF technology to deliver the right message to the right cells at the right time (for repair, rejuvenation, and restoration) cannot be surpassed. Interestingly, the first PEMF devices made their appearance as early as 1976. So while younger researchers and consumers are hailing PEMF technology as the latest cutting-edge therapeutic technique, many decades of research and testing have actually preceded it. And more importantly, PEMF technology is known and embraced on a global level. What many people don’t realize is that the US National Aeronautics and Space Administration (NASA) is a significant investor in PEMF technology. The reason is simple: far too much still isn’t known about how traveling into space and living there for periods of time affects the cells in the human brain and body. The earth itself is magnetic, and the moon exerts a strong influence on the ocean tides here on the earth. In the same way, when human cells encounter the powerful electromagnetic fields that’s emitted by the earth, the moon, and celestial bodies, changes to cellular construction, function, and life cycle may occur. These conditions are already known to cause bone loss and muscle-tone reduction for astronauts. As the largest and best-organized entity for sending human beings into space, NASA wanted to learn as much as it could about how and why this degeneration occurs, and what (if anything) can be done to repair it. NASA invested $3.5 million into researching and studying the use of PEMF technology. During the course of its studies, NASA paid particular attention to the studies about PEMF therapy for healing broken bones, repairing tissue trauma, growing new tissues for transplants, and easing symptoms of certain neurodegenerative illnesses (e.g., Parkinson’s and Alzheimer’s). The NASA example above is one of the most compelling examples of the many science-based wellness benefits of PEMF therapy. But perhaps even more important than identifying targeted uses for PEMF is the unfolding awareness of which frequencies, times of day, and intensity work best for different types of wellness issues and needs. Lower frequencies are ideal to help cells repair themselves and regrow. The optimal frequency range is the same as that of the earth’s own geomagnetic frequency (0 to 30 Hz, low-delta to high-beta waves). Certain frequencies are best for certain times of the day. The technical term for this result is “biorhythmic clock.” The simple explanation is that you want to align the frequency of the body cells with the natural ebb and flow of circadian rhythms. In the morning, alertness is key, which indicates beta-frequency (15 to 30 Hz). In the evening, rest is ideal, which indicates theta-frequency (0 to 7 Hz). The body will resonate to any frequency in the range from 0 to 30 Hz. Frequencies should be adjusted to the cellular need, as well as the circadian rhythm. PEMF devices in the pico to nano-tesla range are desirable. Imagine the earth’s electromagnetic field. It’s quite strong. Now dial that strength back by 100,000%. That’s about the range that a human cell can effectively take in and use. This result translates to a PEMF device that operates in the pico- and nanotesla range, with a lower overall frequency output. Science supports these PEMF wellness benefits. With a better grasp of how human cells can best receive and make use of targeted EMF therapy, the real research could begin. In the past 50 years, more than 2,000 studies have been cataloged, each showing the varying wellness effects of PEMF therapy in clinical, surgical, postsurgical, and therapeutic settings. With such a sturdy volume of empirical evidence amassed thus far, it’s to be expected that additional uses for PEMF devices will continue to come to light over the next months, years, and decades. Many healthcare professionals now dedicate their time and efforts to the study of PEMF because they have seen the improvements it can help produce. To learn more about PEMF, you can refer to any of the studies listed below. See all the different wellness conditions it has been applied to and decide for yourself what best suits your own situation. As with any new wellness method, it’s always advisable to proceed with caution, especially if you’re currently under a doctor’s care for an ongoing medical issue. This contraindication especially applies if you have any of the following implants: cochlear implant, pacemaker, intrathecal pump, or any other electrical medical devices. The reason is that a potential complication (involving the magnetic output from the PEMF) can power down these devices, exposing you to risk. If you’re an organ transplant recipient, it’s currently advised that you steer clear of PEMF therapy for now, due to the powerful anti-rejection immunosuppressive medications required to help the body accept the new organ. It may be best not to receive PEMF therapy if you’re currently being treated for any blood disorders or have been prescribed any ongoing blood thinners or anticoagulant medications, or you have any conditions that can promote active bleeding. At this time, it’s not known if or how receiving PEMF therapy may affect women who are pregnant, trying to conceive, or breastfeeding. If you have a metal staple, joint, stent, valve or dental device, it’s not advised to use PEMF unless specifically advised otherwise by a medical professional who’s knowledgeable about PEMF and implants. If you’ve had breast implants, the current recommendation is to avoid high-frequency PEMF therapy, which could over-agitate the implants and cause breakage or leakage. PEMF therapy boasts many reasons for recommendations. Over the decades, PEMF has amassed a significant body of scientifically supported evidence in its favor: from reducing pain to improving postsurgical outcomes to managing notoriously difficult-to-address chronic wellness issues, such as migraines and symptoms of depression. As of today, there are two avenues for receiving PEMF-based therapy: administration by a medical professional or self-administration at home. However, it can be advantageous to begin PEMF therapy under the care of a knowledgeable professional, due to a great variety of application methods and types of PEMF devices. Remember, for the most beneficial treatment results, it’s important to select the right frequency and intensity and properly apply the treatment. 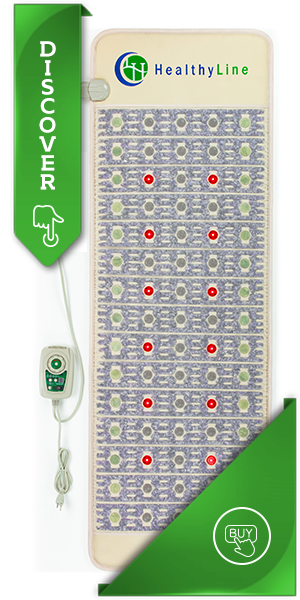 Once you’ve learned how to set and operate the PEMF device for optimal results, it makes sense that you might want to purchase your own device for ongoing at-home use. Because PEMF therapy is still considered an emerging treatment in the US, it’s used with more caution here than you might find in Europe and other countries. However, this caution can be to the patient’s benefit, especially when treating serious wellness issues that haven’t yet been scientifically researched. The good news is that PEMF therapy is clearly here to stay. In the coming months and years, much more has yet to be revealed about the many ways PEMF therapy can be used as a complement or alternative to traditional medical treatments and therapies. PEMF is a therapy well worth considering—whether your future plans include venturing out beyond the earth’s boundaries into space, or you simply want to feel better here and now. Looking at PEMF to halt progression of unilateral lower extremity weakness, fatigue and brain fog/ fatigue thus far undiagnosed. Extensive testing, multiple drs and varying disciplines have not unraveled this condition. We are unable to decipher and untangle the wide parameters in the many descriptions of PEMF devices to figure out what will be to the best advantage. We haven’t been able to find a medical profession with knowledge to give direction either. Please can you give suggestions who to turn to or what device might be recommended for neuromuscular issues?